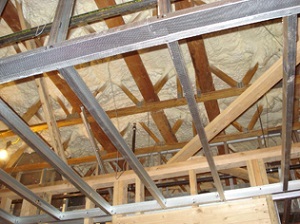 Spray foam insulation provdes an effective, durable insulation solution for all types of commercial properties. Creating an insulated building envelope is just the first step for most commercial buildings. Commercial applications utilize all of the versatility and functionality of spray foam, including its ability to adhere to multiple surfaces and its soundproofing qualities. In virtually all circumstances, spray foam is superior to fiberglass batting and other older forms of insulation for new construction and old buildings alike. Coastal Insulation are the local experts for commercial spray foam and commercial insulation services in NJ, NY, and PA. Our skilled team knows how to apply our advanced spray foam for maximum benefit in a variety of commercial applications. 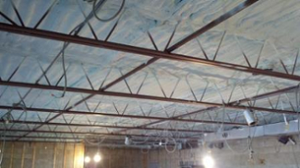 We have experience insulating everything from churches and other public venues to residential buildings and more. No matter how small or large the space, our installation experts can create a spray foam solution that will reduce the amount of energy needed to heat or cool the building. Whether you're looking to renovate an older structure, build something totally new, or retrofit a portion of your commercial building, trust the experts at Coastal Insulation with your project. Our team contains helpful staff members who will ensure that you get the best work at a price that suits your budget. Call us today at 1-844-565-1285 or click below to get insulation estimate for your property in East Windsor, Princeton, Montgomery and the nearby areas. Our commercial insulation services will help you save money on heating and cooling costs and reduce environmental impact. We provide commercial insulation for all types of properties, including government, institutional, commercial, and corporate. If you're a property manager or building owner looking to improve energy efficiency, we have the right solutions for you. One of the most cost-effective ways to save money and reduce energy use in your building is to install or upgrade insulation. To get the greatest long-term value from your insulation investment, it's critical to install the right type and amount of insulation, and install it in the right way. That's why you'll like working with the insulation experts at Coastal Insulation. Contact us today to schedule an inspection and free estimate to have new insulation installed in your commercial building. 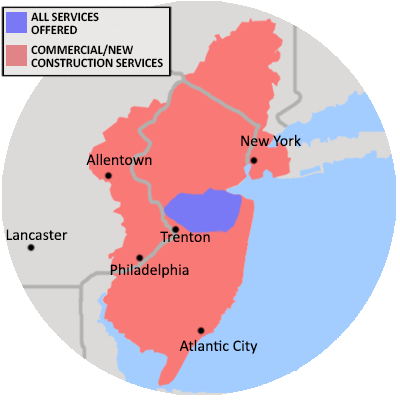 We serve Old Bridge, Trenton, Hightstown, East Brunswick, New Brunswick, North Brunswick, Monroe Township, Lawrence Township, Princeton, Marlboro and many areas throughout the state.